Merlot is like that co-worker who’s been there forever (since the late 1700’s). Consistently shows up, works hard, has great character—but oftentimes gets overlooked for the hipster, cool labels. But, Merlot is distinguished and established. It keeps working while trends come and go and is easy to get along with. That oldie but goodie… not only does it work well with others, it has a smoothing, balancing nature. Just think about how nicely Merlot works with Cabernet in famous Bordeaux blends! This noble grape is even amazing when grown in arid climates, like Arizona. A rare, cloudy day in Scottsdale, Arizona. 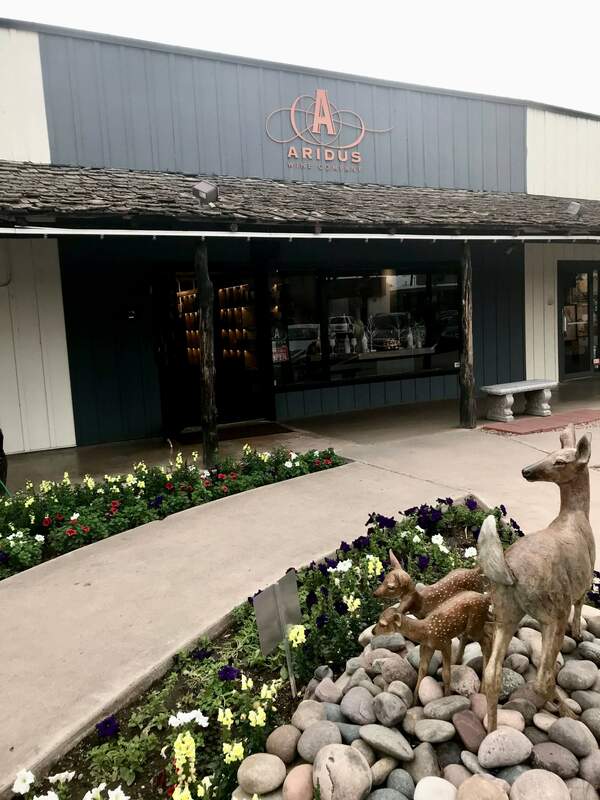 Lots of shops, art galleries, & restaurants all walking distance from the Aridus tasting room. Merlot may be considered a dry, red wine, but it’s not dry in personality. 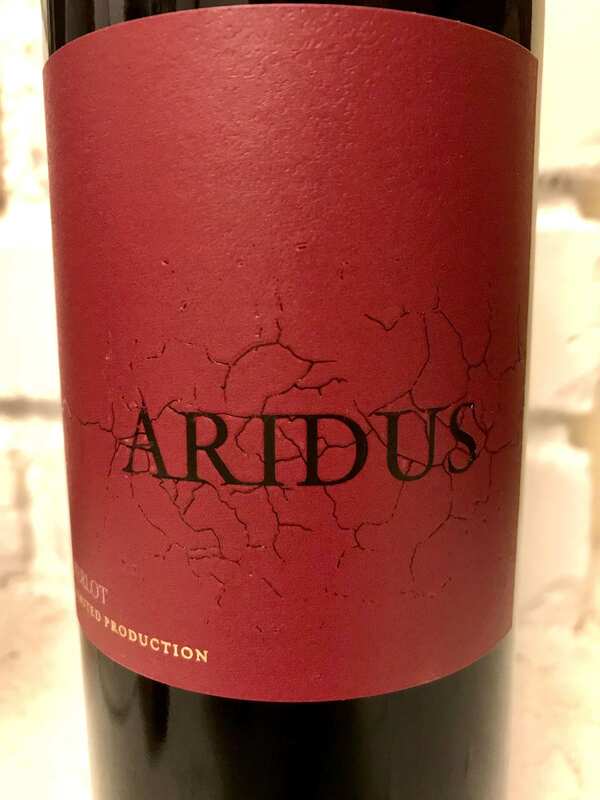 Aridus (Latin for dry, or arid) Wine Company out of Arizona makes an exceptional Merlot—by far my new favorite. Far from Bordeaux (5,463 miles away), Merlot grows well in Southeastern Arizona at 5,200 ft. in Willcox. Their crush/wine making facility, which was once an apple warehouse, is the largest in the state. I experienced this gem of a bottle when I visited their stylish tasting room in Old Town Scottsdale last week. 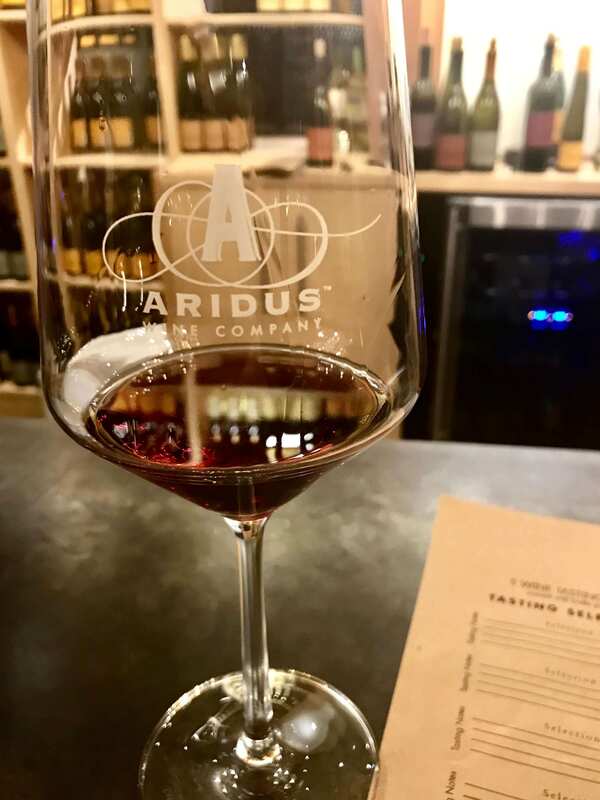 $10.50 for 5 tastings. We chose all reds this visit. The Tempranillo, Syrah, and Merlot were standouts. Although, they were all good! 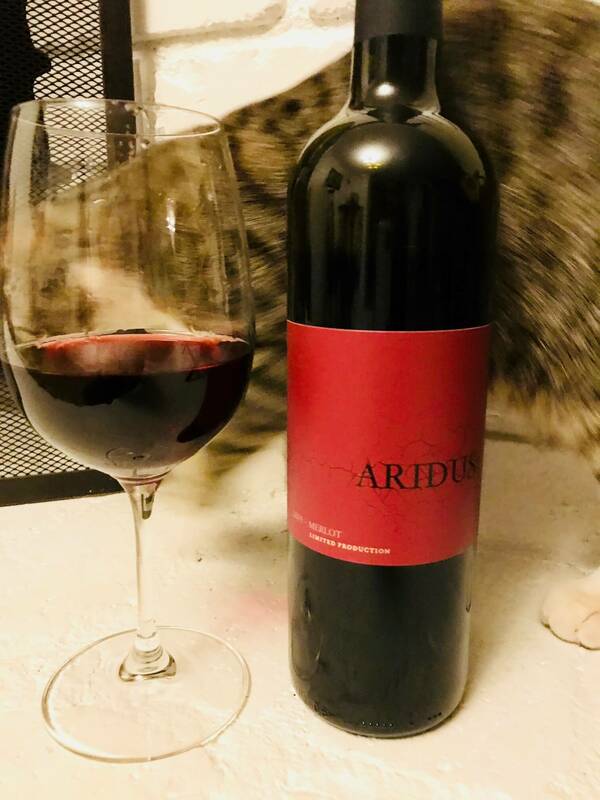 It’s clear, brick red in the glass with fresh, ripe (but not too ripe) red berries, a nice balance of acidity, ultra smooth tannins, and subtle smoky notes. Arizona is known for intense, ridiculous heat, but where Phoenix “cools down” to the upper 80’s or 90’s in the summer evenings, the elevation in Willcox provides much cooler nights—making it ideal conditions for grape growers. 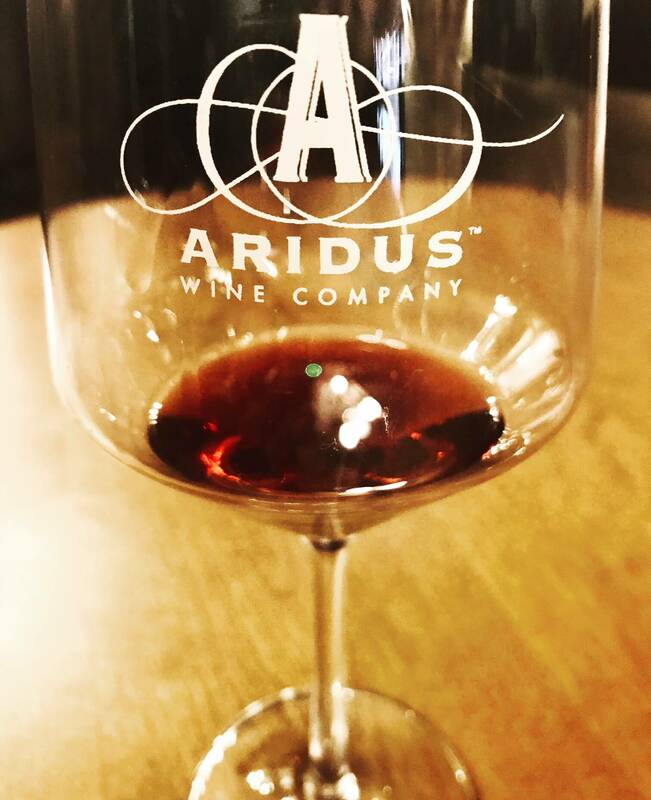 The grapes for this Aridus 2015 Merlot were harvested from the Buhl Memorial Vineyards, 100% Arizona grown grapes. $33.60 per bottle and worth every penny. Tasting notes just don’t do this bottle justice, as everyone experiences wine differently. I can tell you, from the moment I opened this bottle, without decanting, I loved it from the first sip. Maybe it was the overall balance, or how perfectly different this Merlot tastes compared to others I’ve tried. Maybe it’s the local desert terrior, the monsoon fairy dust, or the winemaker’s magical wine making skills… I’m just a huge fan of this bottle. And, now I’m regretting not purchasing more. I’d urge whoever is reading this to order some immediately, but I need to go buy more first. So, wait at least one day please. Thanks, and cheers. This was a photobomb fail. Rudy Tudy (“Professor Tuds”) decided to take the cork and play with it across the room.